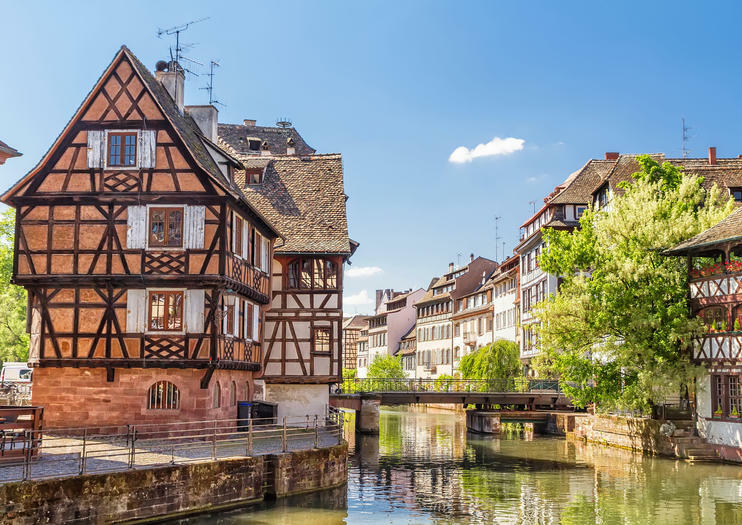 At the heart of Strasbourg’s La Petite France district, tucked amid the half-timbered houses and snaking canals of the historic neighborhood, the Tanners House, or Maison des Tanneurs, is one of the area’s most famous landmarks. A lasting vestige of the old tanners district, the former tannery was built in 1572 and is known for its timbered galleries and slanted roofs, where dyed hides were once draped to dry in the sun. Transformed into a restaurant in 1949, the Tanners House is now home to La Maison de la Choucroute, which serves up traditional Alsatian cuisine in authentic surroundings, with the original 16th-century beams complemented by antique furnishings and window boxes overflowing with geraniums. For the most atmospheric spot, book a table on the open-air terrace, from where the views stretch along the riverfront.